Happy Halloween, everyone! I wish I had something ~spooooky~ to share with y’all today, but I’m afraid (lolz) that I’ve been pretty boring this year in terms of sweet Halloween costumes. 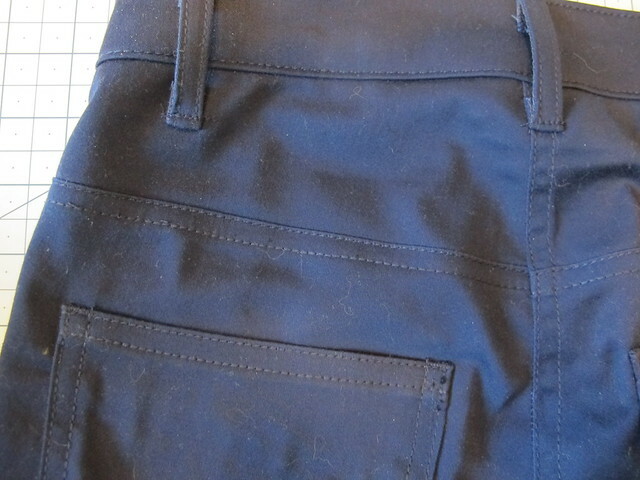 Instead, my sewing has been strictly practical – in the case of this month, I made some new pants! Can’t go wrong with a nice pair of pants, amirite. 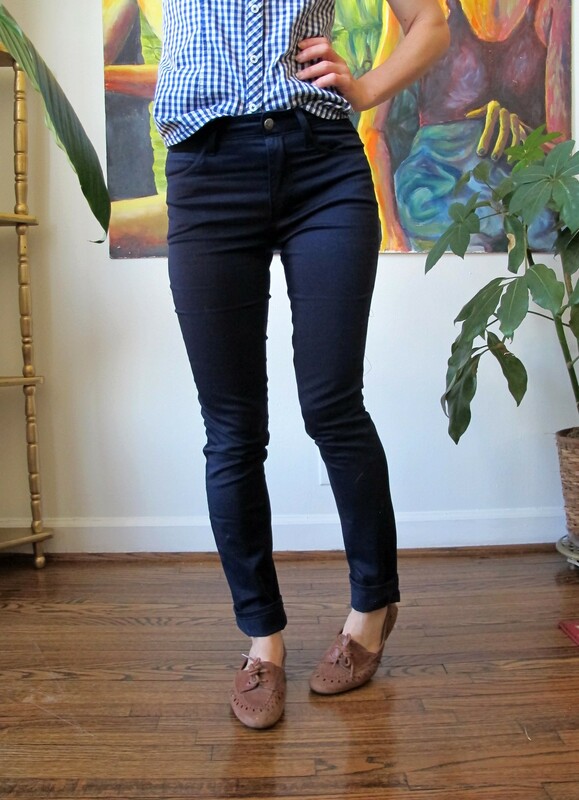 The Ginger Jeans pattern from Closet Case Files has long been a pants-staple of mine, although I primarily use this pattern to make jeans (I should add – with much success! It’s a GREAT jeans pattern). I’m pretty stocked up as far as jeans go, now, so I was looking to branch out and use this pattern to make some neutral colored cotton twill pants. I did this last year for the Mood Sewing Network, and I still love those red jeans so much! I have been looking for a good stretch twill to make more in other colors, and I’m so happy to have found a suitable navy to start with! I have mentioned this before, but I have a lot of issues with finding good stretch bottomweight fabrics just from ordering online. It’s really hard to gauge exactly what you are getting just based on a photo and a description – I personally I like to be able to handle the fabric, feel how much stretch it has and how thick it is, and how the recovery holds up. So I tend to save my purchases for these sorts of things while I’m in NY, so I can go to the Mood Fabrics store and feel up all the offerings. 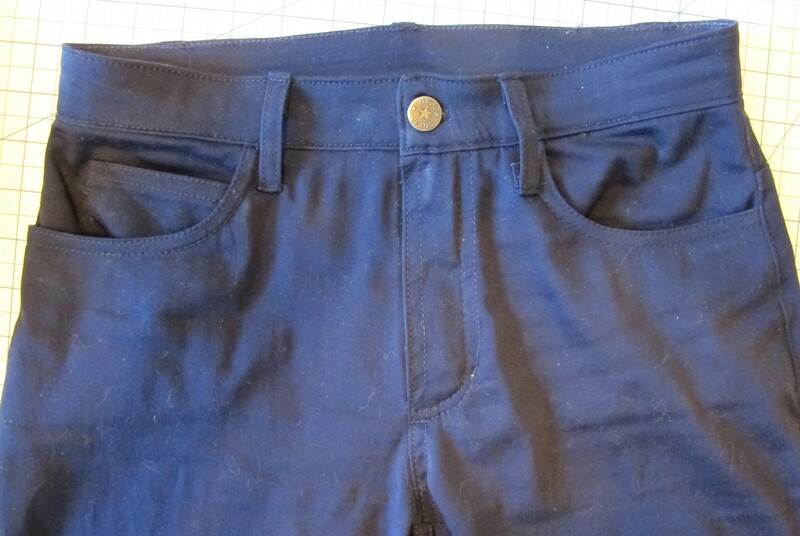 I found this navy cotton twill while I was there in March – it’s a good lighter bottom weight (as in, it’s about the lightest weight one can get away with calling a bottomweight, if that makes sense! ), which I’ve found I really prefer in my pants. I like my fabric to be reasonably lightweight and also really stretchy! It is definitely more like a cotton sateen than a cotton twill – there’s a shinier side, which looks nice and kind of luxe, but as you can see, it also really highlights every single wrinkle on these pants! 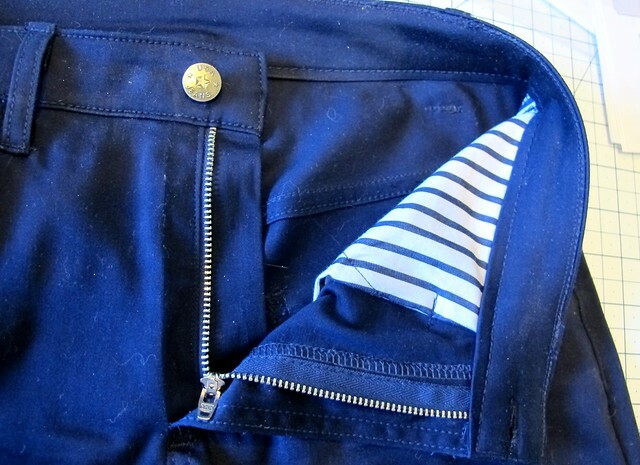 I kept these sleek with matching topstitching and didn’t add any rivets or weirdly colored bartacks (there are bartacks – at the fly and also along the tops of the back pockets – but they are in the same navy thread as the rest of the topstitching). 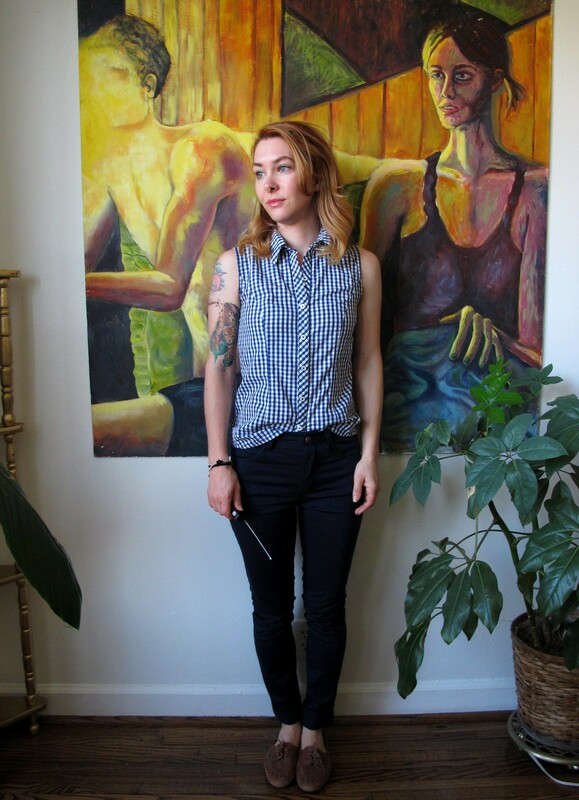 The pocketing is some striped cotton I bought agesssss ago at Mood Fabrics that I basically only use to make pockets with 😉 I hemmed these a little long so they’d bunch up slightly at the ankles when I wear them uncuffed, but they look good cuffed, too!